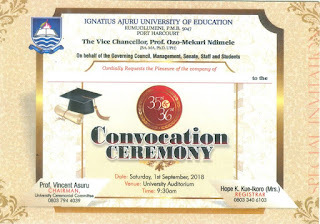 Ignatius Ajuru University of Education, [IAUE] 35th and 36th Combined Convocation Ceremony Programme of Events 2017/2018 Academic Session. 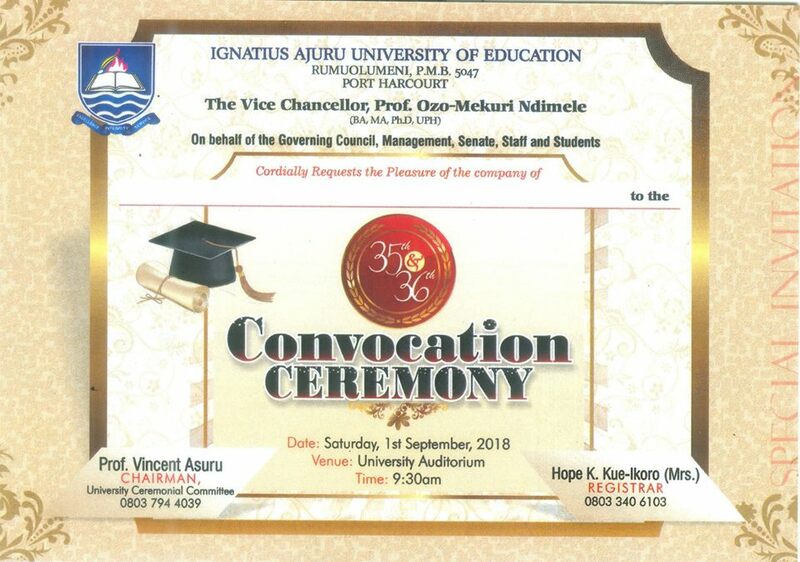 This is to inform the University Community and the General Public, that the 35th and 36th combined convocation ceremony of the Ignatius Ajuru University of Education, IAUE Rumuolumeni Portharcourt has been announced. See IAUE 35th & 36th Convocation Ceremony Schedule - 2018. Events: Commissioning of Projects, Investitures, Conferment of Higher Degrees, Bachelor's Degree, Awards of Certificates and Prizes,.